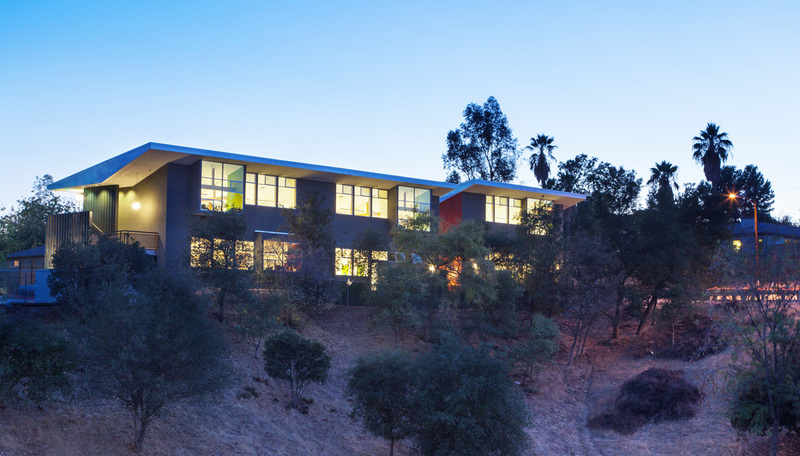 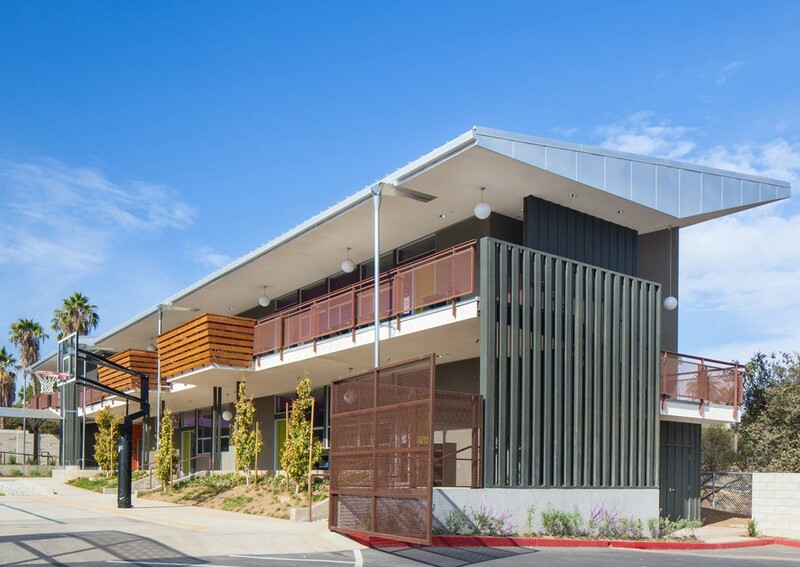 Weaving into an existing mid-century campus fabric that includes the work of architects Smith and Williams and landscape architect Garrett Eckbo, Sequoyah’s expansion echos the spirit of the original architecture, while providing a sustainable, contemporary interpretation for a new generation. 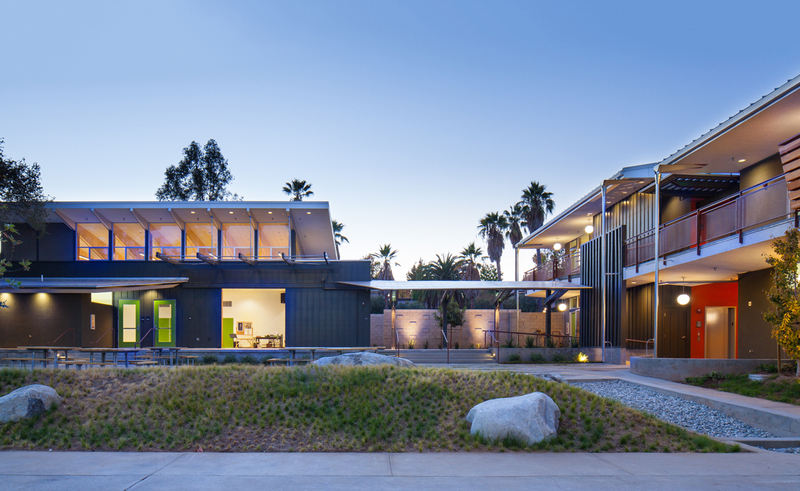 The new L-shaped building turns its back against a freeway off ramp to frame a generous central courtyard. 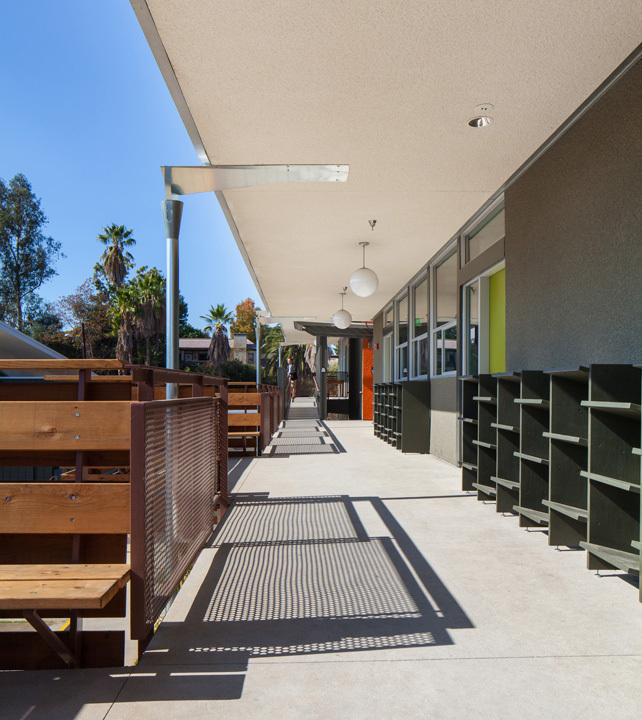 A two-story classroom structure features an north-rising ceiling to provide efficient daylight, passive cooling and heating. 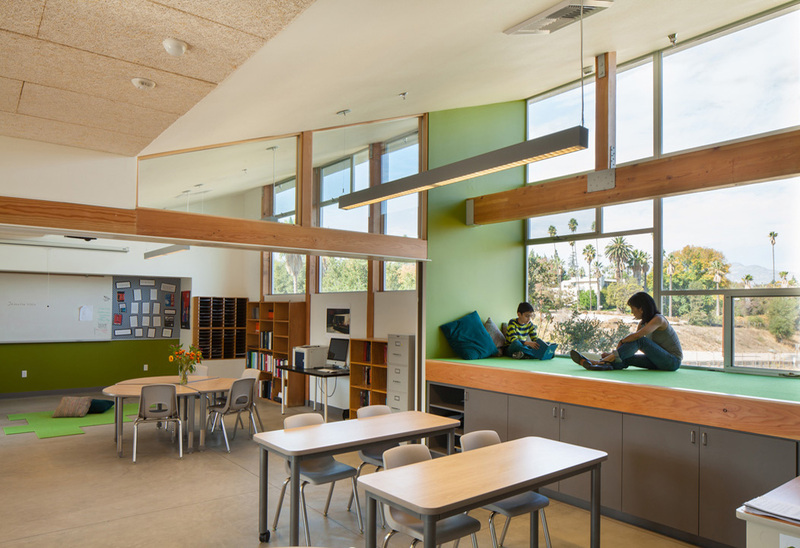 Moveable partitions, bay window lofts and exterior “seminar pods” support Sequoyah’s flexible class sizes and focused student group work. 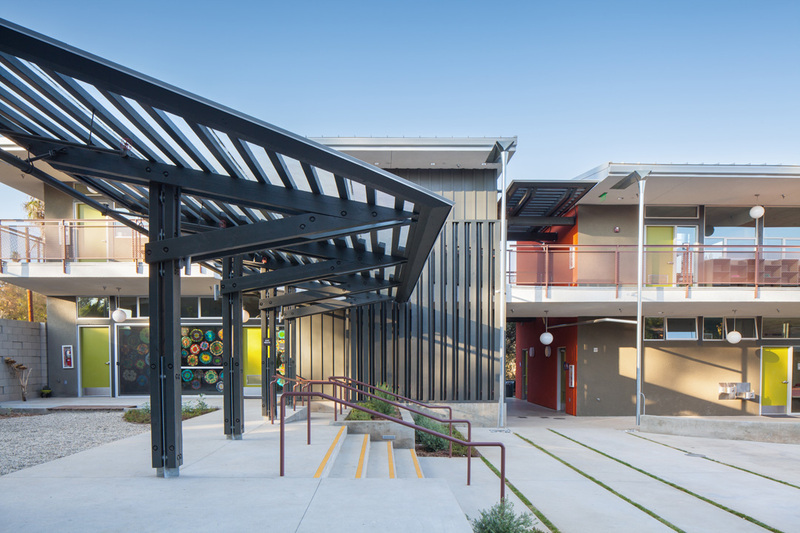 Separated by an intimate courtyard, a soaring one-story structure houses the performing arts and transforms into an all-school assembly space. 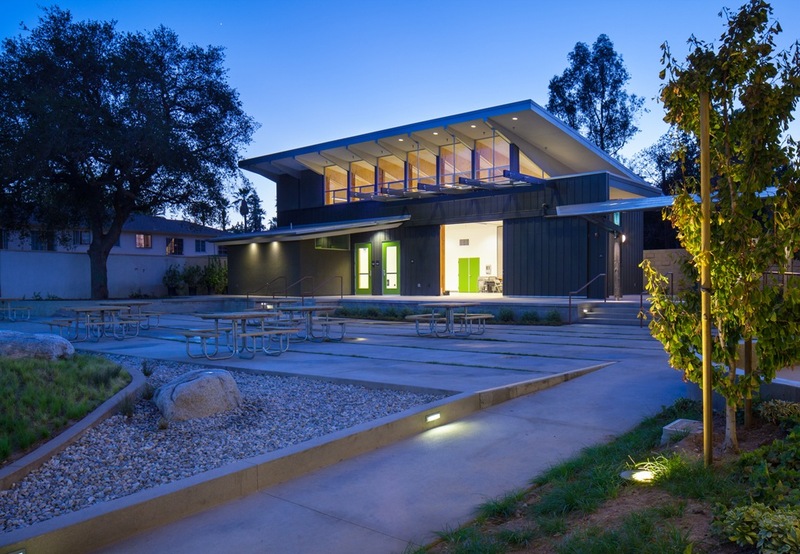 Expressed plywood clad roof trusses rise to a clerestory providing daylight and sound attenuation. 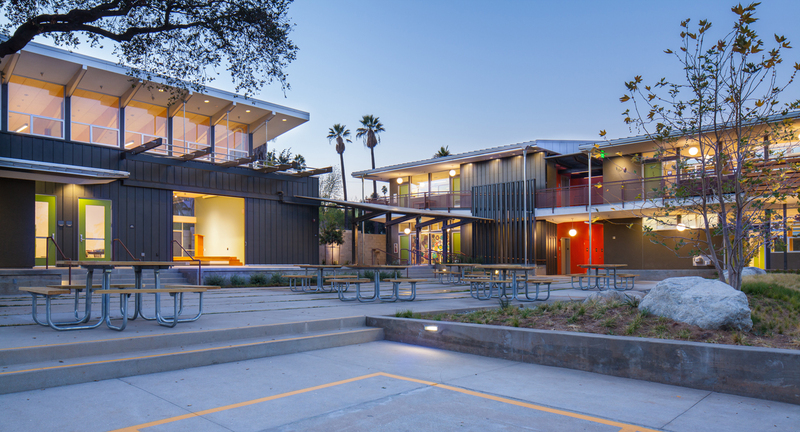 An exterior wall slides open to an ample outdoor stage that addresses the central courtyard for community-wide performances. 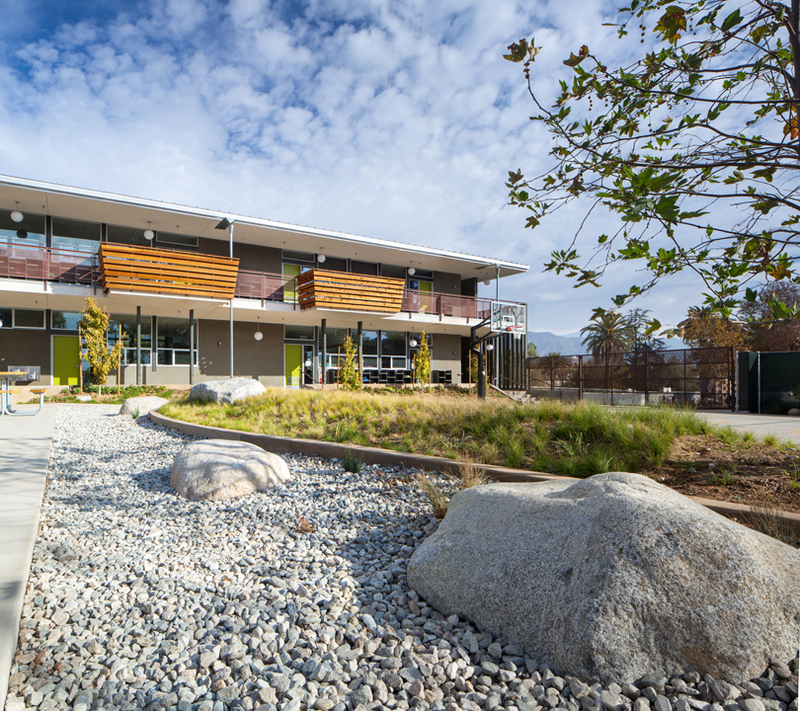 A system of down spouts, bridged open channels and spillways direct rain water from the standing-seam metal roofs to a rain garden of pebbles, boulders, grasses and a specimen Sycamore; where subterranean rain storage units filter the water before it is recharged into the aquifer.